Designer Glass combines different design elements to create an award that is truly unique. The Diamond is jade glass embellished at the bottom sides with black and silver glittered areas that create the diamond shape. Between the glitter and the jade is a mirrored border that underlines and highlights the ample personalization area. 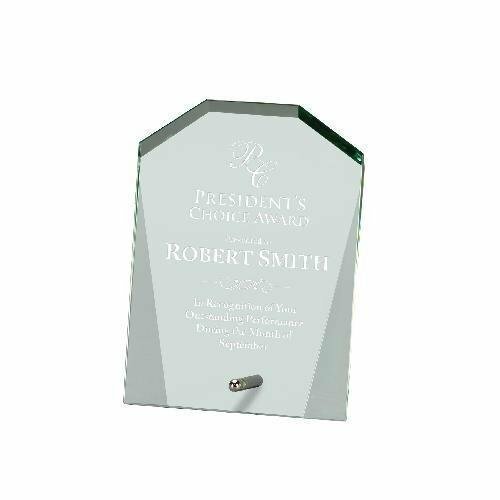 This 1/8” thick award offers shape, texture, color and dimension, all packaged in a satin lined gift box to say “job well done” to your recipient. 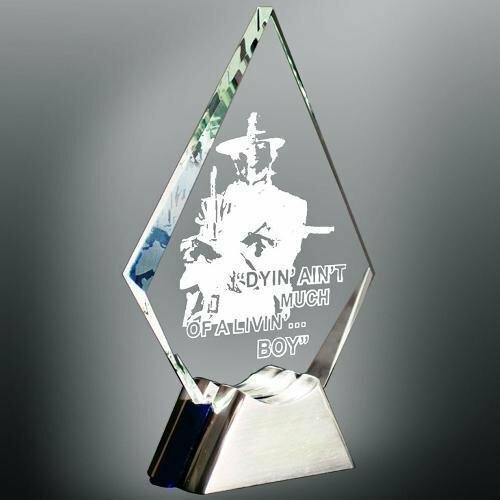 Our diamond designed glass award exemplifies excellence. Each piece comes assembled with a glass accented die cast base, prestigiously embracing each unique award. Packaged in a custom fitted deluxe satin lined box for a beautiful award presentation.